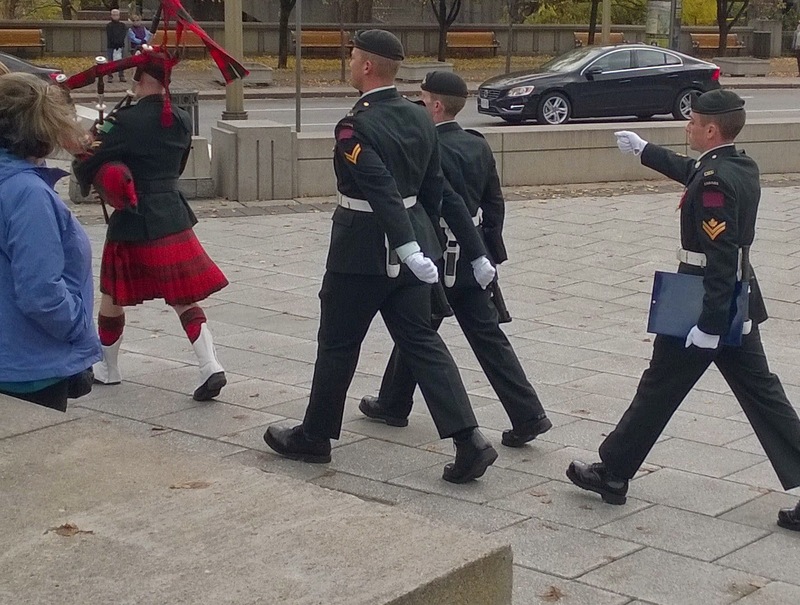 The crowds are still gathering at the Ottawa war memorial this morning to pay their respects to Corporal Nathan Cirillo, who was shot by extremist gunman Michael Zehaf-Bibeau on Wednesday. The Parliament is reopening to visitors tomorrow when I have a day of meetings there, but as can be seen from the picture of the changing of the guard above and the memorial below, people have been laying flowers for days and continue to applaud soldiers guarding the monument. I walked around the Parliament building this morning and was a bit surprised that I could do so quite freely. 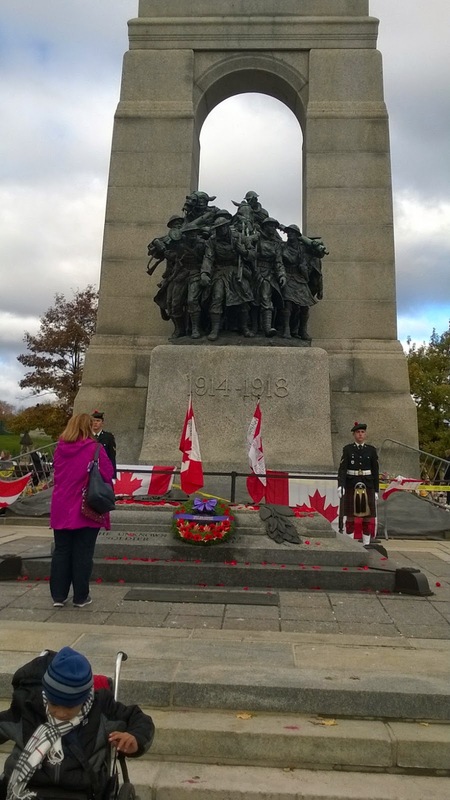 Although armed police were evident at the memorial, they were not so apparent on Parliament Hill. But then that is the mark of a democratic nation - protect your citizens but do not allow terrorists to dictate your agenda.